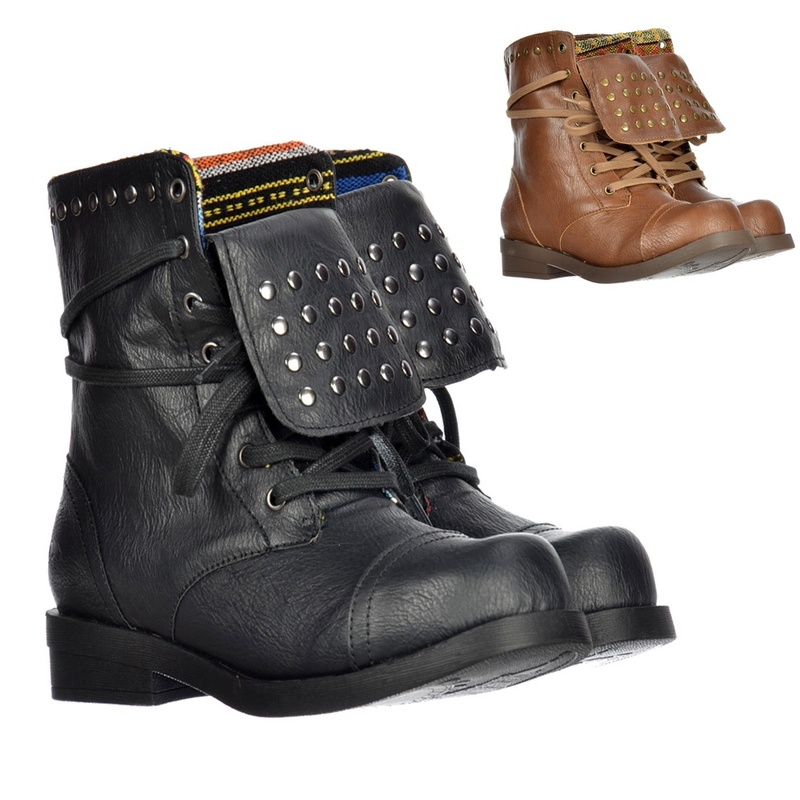 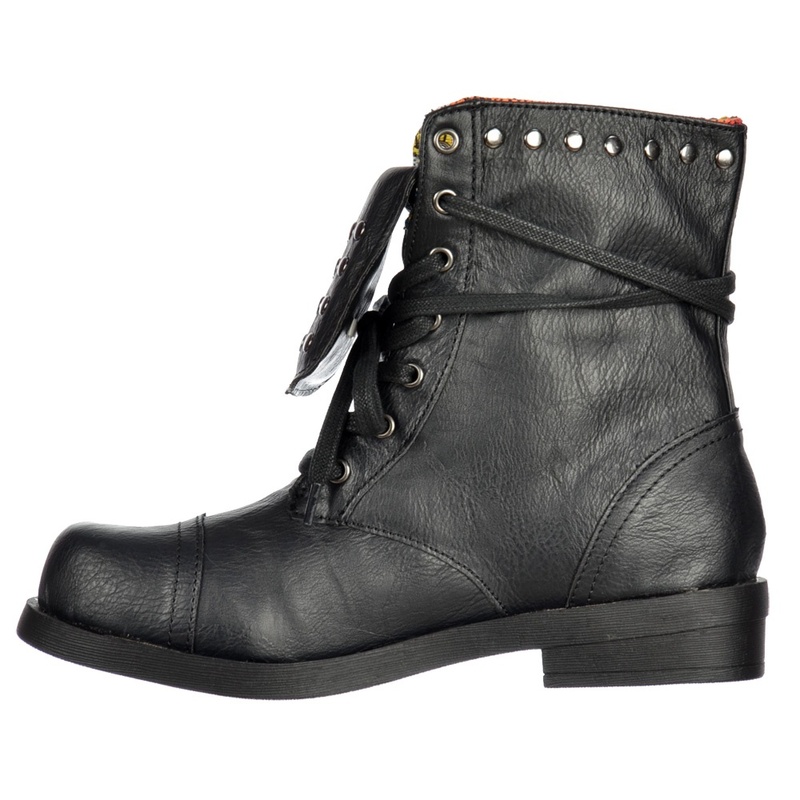 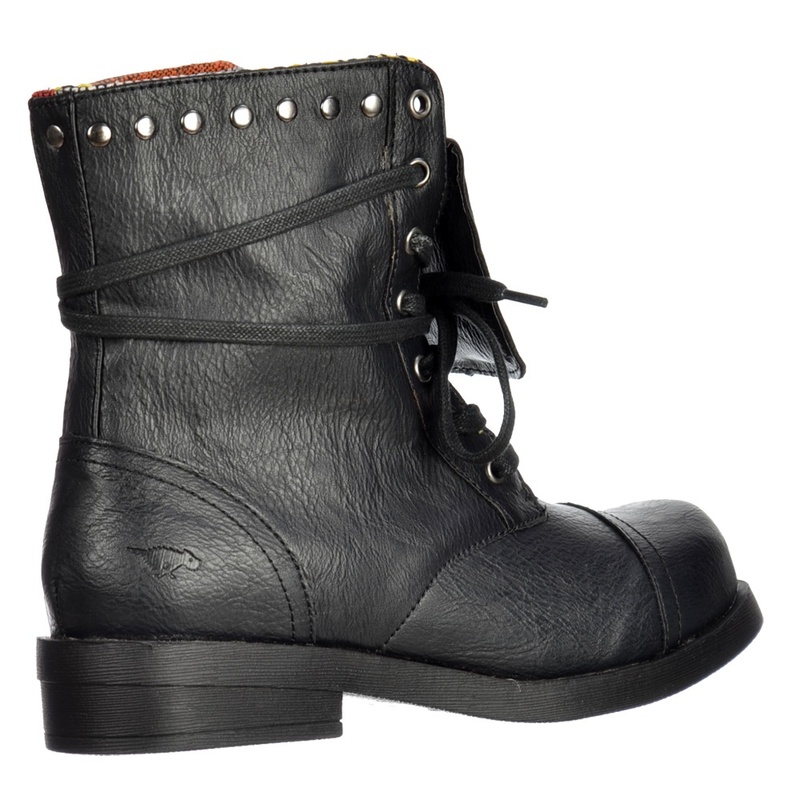 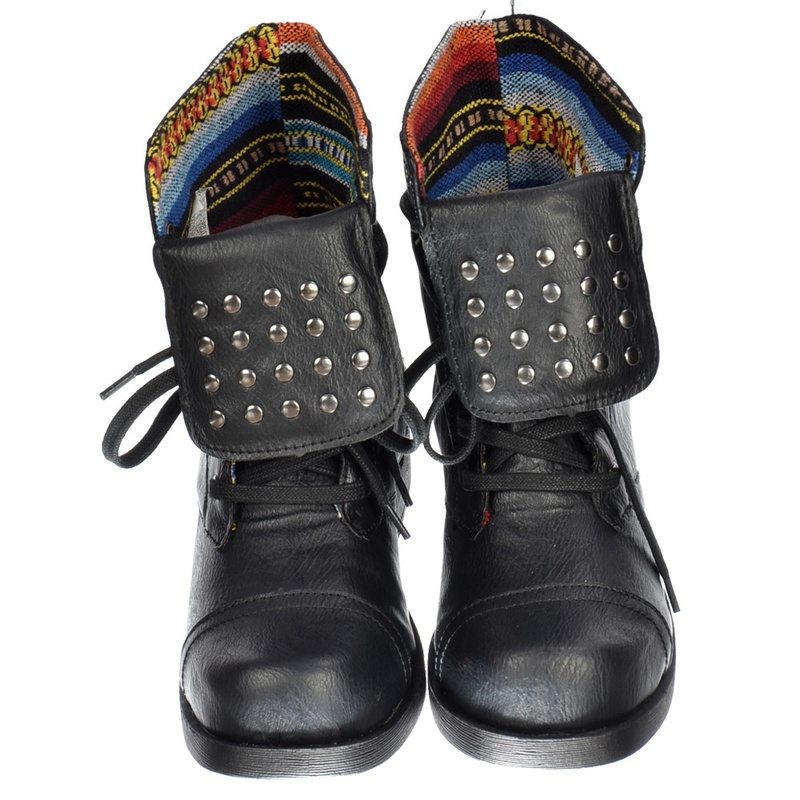 Add Real Attitude To Your Casual Daytime Look With These Urban Styled Rocket Dog Biker Boots. 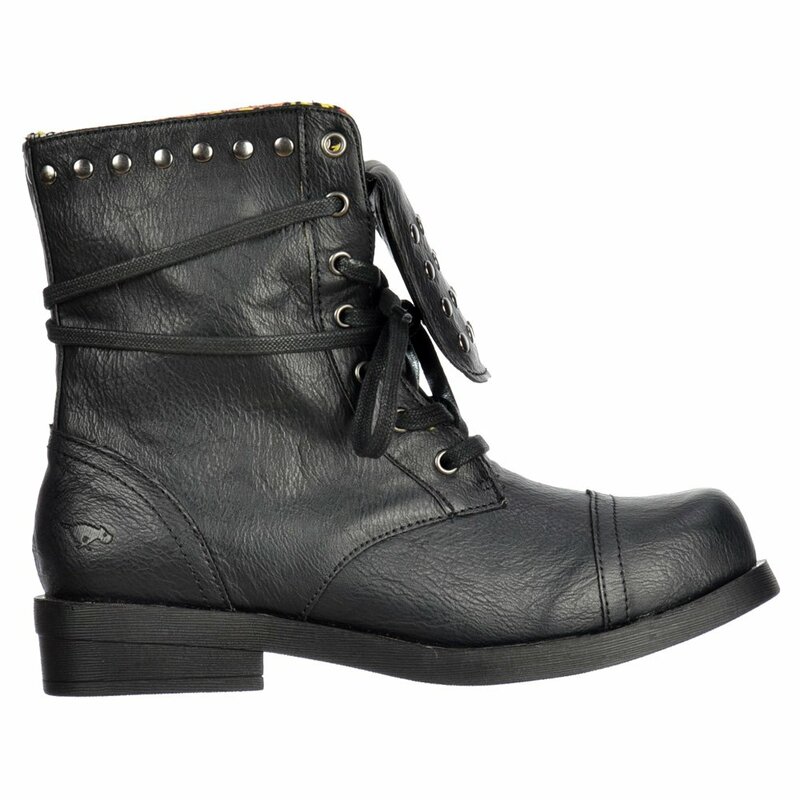 Their Lace Up Design With Woven Patterned Textile Inner Contrasts With The Over Flap Studded Feature. 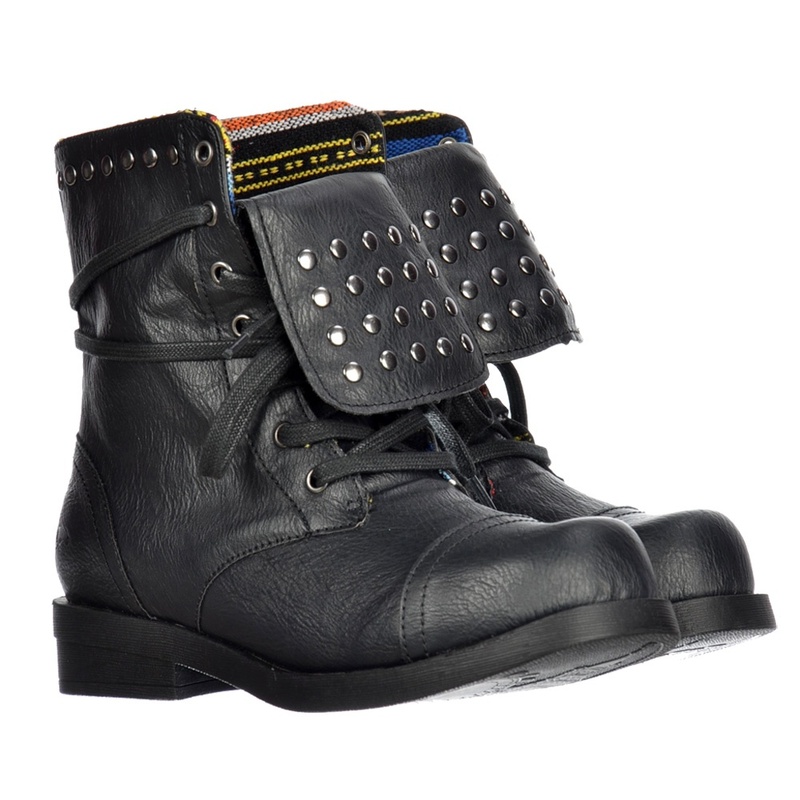 The Chrome Stud Embellishment, Block Heel and Rocket Dog Logo to the Heel Completes its Modern Edgy Look.